The AMC Loews Boston Common. There was a time when Boston was thick with theaters, Downtown Crossing glittered with movie marquees, and teenagers streamed through Copley Place for the latest show. More than a dozen of those theaters went dark in recent years, leaving just two multiplexes as movie watchers turned to their televisions and laptops to stream on demand. But now the cinema is coming back. 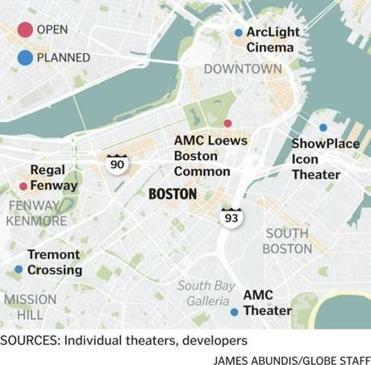 Three movie theaters are under construction in Boston right now: in the Seaport, at North Station, and in Dorchester. A fourth is planned as part of a large retail development in Roxbury. Combined, they would nearly triple the number of movie screens in the city. 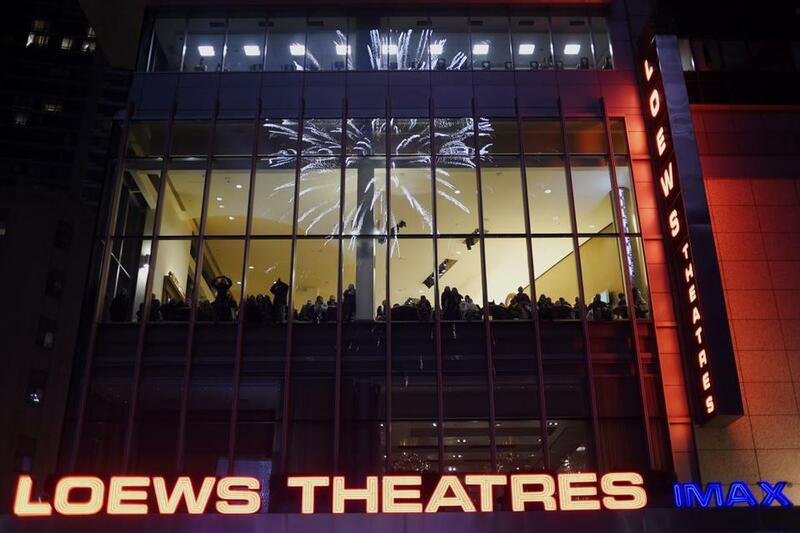 The new cinemas coming to Boston are way beyond the popcorn-encrusted movie houses of old. They are more like entertainment complexes, boasting cocktail bars and upscale appetizers, even full meals in some cases, in addition to reserved seating and big, cushy reclining seats. The fancy theaters are the movie industry’s response to years of flat attendance and competition from an ever-growing buffet of in-home entertainment. The target audience — across the nation — is young professionals and empty nesters with money. They’re willing to pay a few dollars extra for premium seating and splurge on food and drink. And while Boston has lost many movie theaters in recent decades, it has gained a lot of affluent young professionals and empty nesters. That growing market helped draw ArcLight to town. A theater chain based in California, ArcLight is expanding nationally into markets that already have a rich entertainment scene, such as sporting events and concerts. The company signed a deal to put a 15-screen theater in the huge new Hub on Causeway project that Boston Properties is building at North Station. As with the other new theaters, the ArcLight at North Station will help anchor a bigger real estate project that will include housing, restaurants, and retail. In years past, the typical anchor for those projects were mainstream retail chains. But those retailers are shrinking, so developers are turning to theater chains as an anchor to provide the kind of foot traffic that brings big projects to life. Developers that have made space for a cinema say they received strong interest from the prospective tenants. Brad Dumont, managing director at development firm Edens, said his firm had its pick of four operators for a movie theater in its expansion of the South Bay Shopping Center in Dorchester. Edens settled on movie giant AMC, which will put a 12-screen theater with IMAX technology into the project. At least one more theater is in the works. The developers of Tremont Crossing, a large mixed-use project in Roxbury that won city approval this month, are negotiating with a theater company, a spokeswoman said. The location is near the edge of Northeastern University’s campus and Dudley Square. And real estate brokers say they’ve heard other small, high-end movie chains may also be looking for space around the city. The two theaters currently open in Boston — AMC’s Boston Common 19 and the Regal Fenway Stadium 13 — both do well, Gallivan said. So do big theaters close to the city, such as the AMC 12-screen complex at Assembly Row in Somerville. That’s a sign of strong demand, Gallivan said, and a market that can support more theaters, especially those that offer a little more than just a movie. 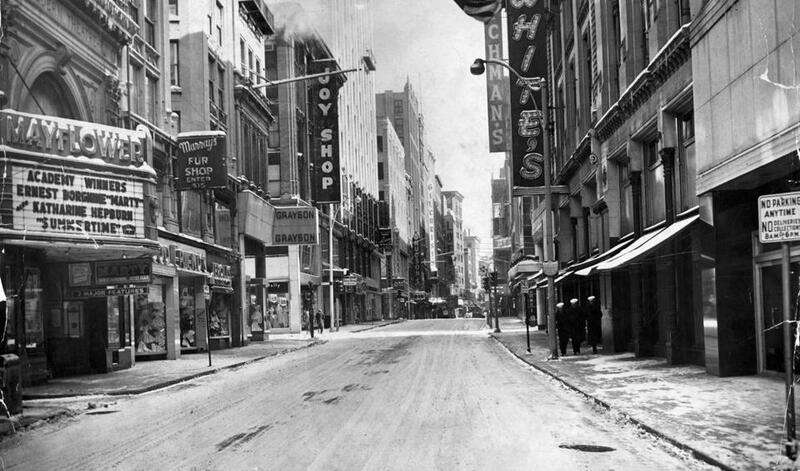 The Mayflower Theater on Washington Street in 1956.